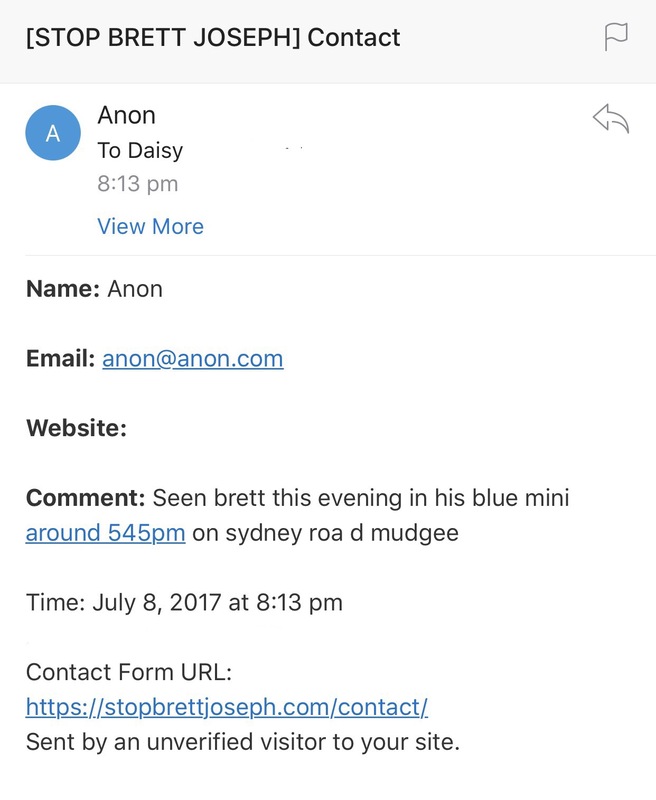 SPOTTED: Brett Joseph driving his blue Mini on Sydney Rd, Mudgee at 5:45pm today. It’s been a while since anyone has spotted the weasel, so it’s good of to know that he is still loitering around Mudgee. If you see him, be sure to shoot me a message so I can keep everyone updated as to his whereabouts.